At the moment there are the following Russian aircrafts on the Latakia base involved in the campaign against IS (Islamic State): 4 SU-30SM, 6 SU-34S, 12 SU-24M, 12 SU-25SM. There are also MI-8 (Hip) multipurpose helicopters and MI-24 (Hind) helicopter gunships, which implies that they will be eventually become active in ground combat. The Russians mainly use air to ground missiles Kh-29 and S-25L. They further use 500 kg smart bombs, either laser guided KAB-500L, satellite (GLONASS) guided KAB-500S-E, and concrete-piercing BetAB-500. There are also many surveillance drones in operation, probably RPV PCHELA-1T, though there is understandably no further information available. 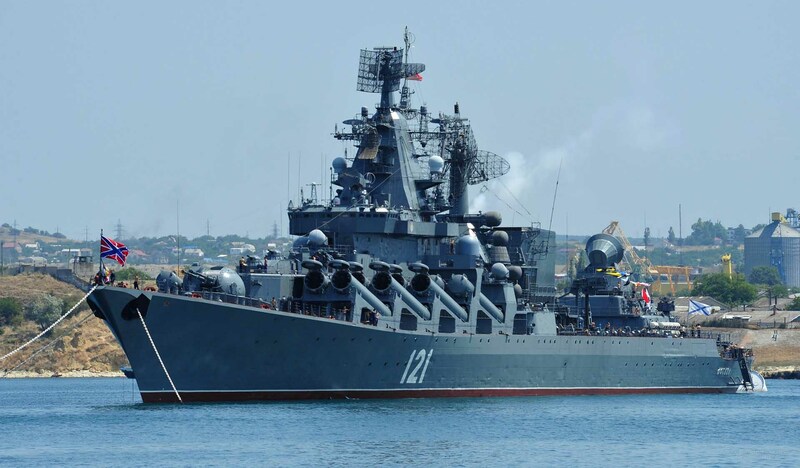 Russia’s ministry of defense announced the deployment of its navy cruiser the Moskva to Latakia. The Moskva is armed with a complement of 64 S-300 ship-to-air missiles, Russia’s most powerful anti-aircraft weapon. Deployment of S-300s — or other similarly sophisticated systems, also known as triple-digit Sams — has long been one of the Pentagon’s biggest fears in the Middle East. The S-300 system, which has an operating range of 150 km, is capable of destroying all but the most sophisticated stealth aircraft. This means that missions flown by the US-led coalition (whose participants mainly use F-16 jets) are now highly vulnerable. Even Britain’s deployment of Tornados and Typhoons at the Royal Air Force base at Akrotiri, Cyprus, is threatened by the Russian missiles. 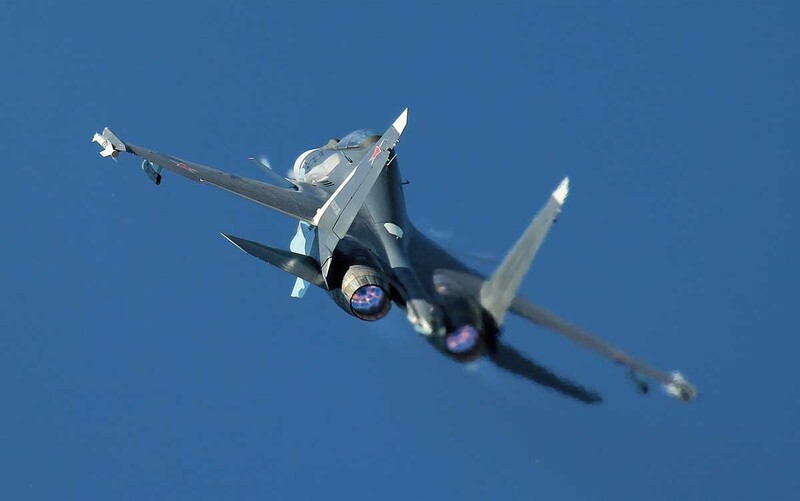 On the night of October 2, six Russian SU-30 SM fighters took off from the Jableh/Hmimim airbase to intercept four Israeli F-15 fighters which were flying in attack formation and were approaching Latakia from the sea. Surprised by an unexpected situation and apparently not prepared for a dogfight with the feared Russian multipurpose fighters, Israeli pilots quickly turned back south at high speed towards Lebanon. The Lebanese army officially announced that four “enemy aircraft” had crossed Lebanese airspace. A Turkish security official said Turkish radar locked onto a Russian aircraft as it was bombing Al Yamdiyyah, a Syrian village directly on the Turkish border near the province of Hatay . He said Turkish fighter jets would have attacked had it crossed into Turkish airspace. But a US military official suggested the incident had come close to sparking an armed confrontation. Reading from a report, he said the Russian aircraft had violated Turkish air space by five miles and that Turkish F-16 jets had started, but that the Russian aircraft had returned to Syrian airspace before they could respond. The village Al Yamdiyyah, in a mountainous region of northern Latakia province, has been a prime route for smuggling people and goods between Turkey and Syria and reportedly has functioned as a key entry for weapons shipped to Syrian rebels. Turkey has maintained a buffer zone five miles inside Syria since June 2012, when a Syrian air defense missile shot down a Turkish fighter plane that had strayed into Syrian airspace. Under revised rules of engagement put in effect then, the Turkish air force would perceive any target coming within five miles of the Turkish border as an enemy and attack it. In a second incident, the Turkish military said a MiG-29 fighter jet had approached two of its F-16s, locking its radar on to them as they patrolled the border. It seems that the ties between Ankara and Moscow are getting strained. “Assad has committed state terrorism, and unfortunately you find Russia and Iran defending him,” Turkish President Erdogan was telling a crowd of supporters in Strasbourg, France. US President Obama allegedly endorsed the idea for an increased air campaign against IS from the Incirlik air base in Turkey and a ground offensive by both Kurdish and Arab militias against Raqqa, although important details still need to be worked out. There are only tiny and insignificant groups of Arab fighters who are not radical Islamists and who are willing to cooperate with the Kurdish YPG, and all Islamic militias oppose the Kurds. If the 5,000 Arabs in the US plan are the Turkmen force which Turkey has set up, they will just try to occupy some territory next to the Kurdish enclaves, which certainly will lead to a confrontation with the Kurds, while IS is watching amused. This plan will never work and the announcement was probably only made to pacify the neocon faction in the US administration and to save face. 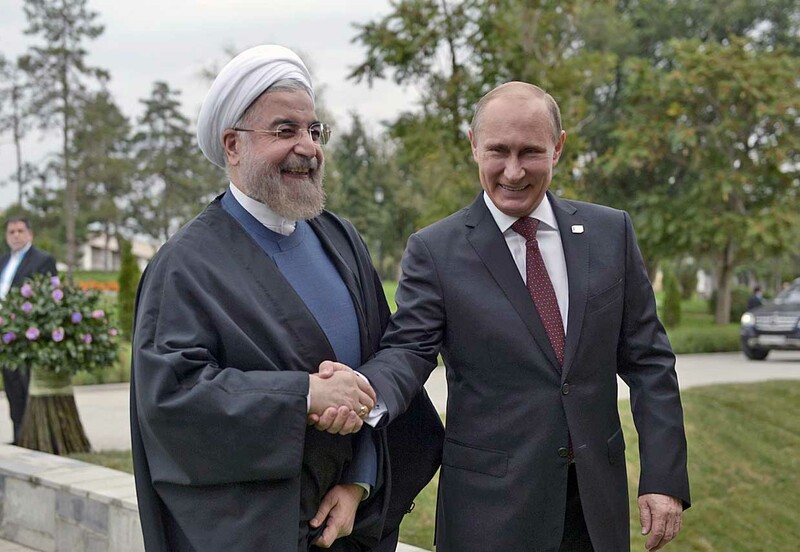 It seems that Russia, Iran, Syria, Iraq have formed a Middle Eastern alliance. The four countries have set up a coordination center in Baghdad and agreed to share military information. Iran gets the support of the Russian military as it aims to protect the delicate regional nexus that is the source of Tehran’s political and economic influence. 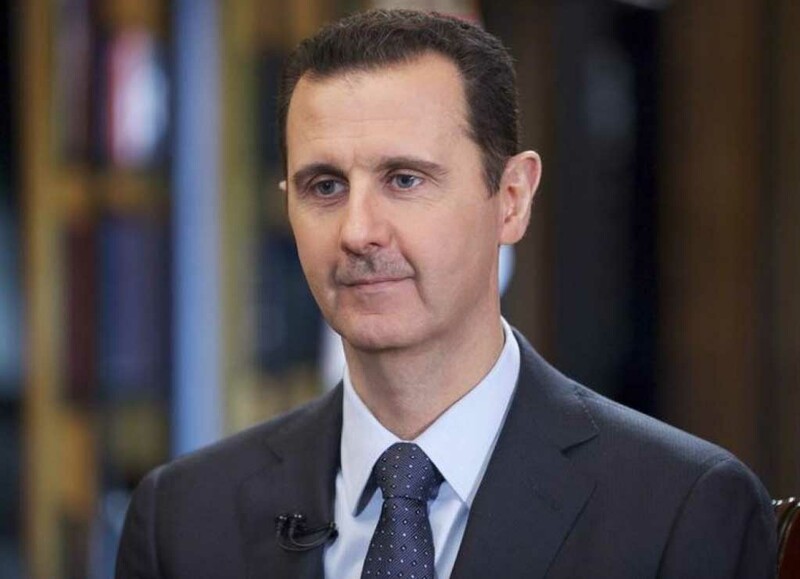 It is absolutely critical for Iran to keep Assad in power, as the destruction of the Syrian state would effectively cut the supply line between Iran and Hezbollah. Therefore a decision has been made, in close coordination with the Russians and the Assad government, to increase the number of fighters on the ground through additional deployment of the IRGC (Islamic Revolutionary Guard Corps) and a network of local and foreign militias. The support also could involve more Iranian commanders, military advisers, and expert fighters assigned to militia units.. Experts believe that Iran at the moment has some 7,000 IRGC members and Iranian paramilitary volunteers operating in Syria. The transfer of the additional troops started already in July and appearently was timed to coincide with the Russian air campaign. As was reported here back in June, the commander of Iran’s Quds Force, Qasem Soleimaini, then visited a town north of Latakia near rebel positions. 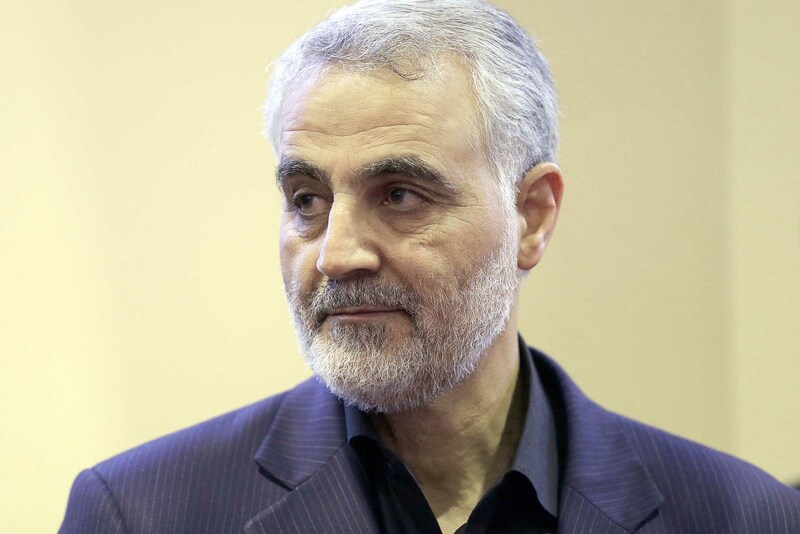 Following that visit, he promised that Tehran and Damascus were set to unveil a new strategy that would “surprise the world.” A month later, Soleimani visited Russia and held meetings in Moscow. We know now, what he meant with his promise of a surprising new strategy. Iran sensed an epic opportunity to capitalize on Washington’s incompetence and sent its most powerful general to Russia where a proposal was made to upend the Middle Eastern balance of power. The Kremlin loved the idea because after all, Moscow is hurting from Western economic warfare (sanctions, low oil price, ruble speculation). Russian President Putin is keen on showing the West that, in the wake of the controversy surrounding the conflict in the Ukraine, Russia isn’t set to back down. Thanks to the fact that the USA chose Islamic extremists as its proxies in Syria, Russia is able to frame its involvement as a “war on terror” and thanks to Russia’s involvement, Iran is able to prepare a massive ground invasion into Syria under the cover of Russian air support. in reality we are all looking for a saviour and it seems Putin has been placed on this peddle stool for us all to see. thank you for analysis of the situation. Shared!